Why are Pediatric Dental Sealants Recommended? Tooth decay often begins on the chewing surfaces of the back teeth because these surfaces have deep pits and grooves that trap plaque, bacteria and food. These pits and grooves are often hard to keep clean because toothbrush bristles cannot reach into them. To help prevent cavities, dental sealants are recommended. A dental sealant is a plastic resin material that is applied to the chewing surfaces of the back teeth. The sealant material flows into the pits and grooves, becoming part of the tooth, and acts as a barrier against plaque, bacteria, and food. Placing sealants on your child’s teeth is an easy and painless procedure. The first step is cleaning and preparing the chewing surface of the tooth. The sealant is then painted onto the chewing surface where it adheres to the tooth and hardens with the help of a special curing light. Sealants are generally white or clear and cannot be seen when your child smiles or talks. What Are Reasons for Getting Dental Sealants? The most important reason for getting sealants is to help to avoid tooth decay on the chewing surface. Sealants cover the chewing surfaces of the back teeth and help keep out germs and food. Placing sealants on the back teeth can help to prevent cavities and also the associated cost that goes along with the dental treatment necessary to repair the teeth. It is recommend that all children get sealants placed on their permanent molars as soon as the teeth come in. The first permanent molars come in between the ages of 5 and 7. The second permanent molars come in between the ages of 11 and 14. Occasionally, our doctors will recommend sealants on other teeth with deep pits and grooves to aid in the prevention of cavities. Teenagers and young adults who are prone to decay may also benefits from sealants. Your pediatric dentist may recommend placing sealants on baby teeth, especially if your child’s baby teeth have deep pits and grooves, have stains or if some baby teeth have had cavities in the past. Baby teeth save space for permanent teeth so it is important to keep them healthy so they don’t need to be removed early from extensive decay. 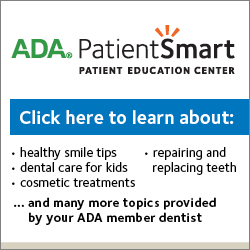 Does Insurance Pay for Dental Sealants? Many health insurance plans cover sealants as a preventive procedure. Our office can help in obtaining an estimate of coverage. 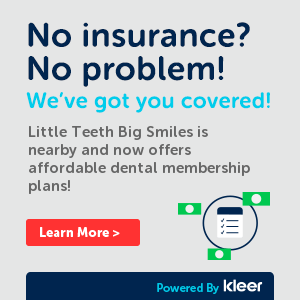 It is important to remember that some plans have age limitations, so it is best to take advantage of this coverage as soon as those teeth come in. Sealants can last up to 10 years. Over time, sealants can become worn and not protect the teeth as well as when they were first placed. During your regular dental visits to our office, your dentist will check your sealants and repair them as needed. It is important that you visit us every 6 months so that we can check that your child’s teeth are still protected.